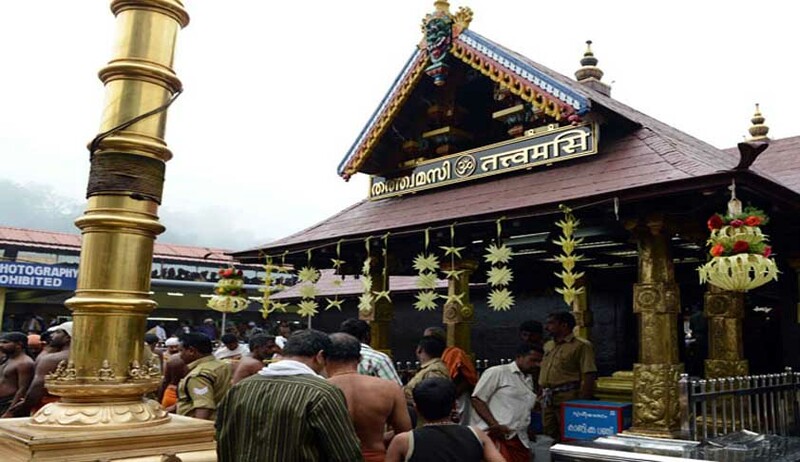 An octogenarian from Kerala moved the Supreme Court on Monday questioning the authority of Devaswom Board for denying entry to women between the age group of 10 and 50 years at Sabrimala temple. S Parameswaran Nampoothiri, 84, belonging to the Brahaminical Nampoothiri community of Kerala, has filed the application seeking the apex court’s permission to intervene in the pending PIL against ban on entry of women inside the temple. The plea asked "whether the Devaswom Board, being an instrumentality of the state, has the right to deny entry for women to the temple, solely on the reason of age of menstruation”. “Is the denial of entry of women to the temple between the age of 10 and 50 years a discrimination, amounting to violation of Article 14, 15, 21, 25 of Constitution of India,” it asked. His application, filed through advocate Wills Mathew, is one of more than 10 pleas for intervention before the bench headed by Justice Dipak Misra. Most of the applications have opposed the PIL. Nampoothiri, who has authored several books, including one on temples (“Maha Kshetrangaliloode”), said there was serious violation of constitutionally guaranteed fundamental rights to women in the age group of 10 to 50 years by denying entry to them by the Travancore Devaswom Board and the governmental authorities to the world-famous Sabarimala Temple in Kerala. He is the son of a renowned Ayurvedic scholar and poet the late Madham Sreedharan Nampoothiri. "This is a classification which is unreasonable, without any logic, justification, and amounts to violation of fundamental rights of women from this class. "The basis of the above mentioned classification was based on the traditional belief that women are impure during the period of menstruation, which has no relevance in the present day world," his application stated. In India, “the Constitution is supreme” and “Justice is above all”. In the light of rights guaranteed under the Constitution and also various international covenants to which India is a signatory, there is no scope or logic or justification in “denying the right of women to worship the deity of her choice". The bench, which has been hearing PIL filed by Indian Young Lawyers Association, has indicated to refer the issue to a constitution bench after framing issues and reserved its findings.